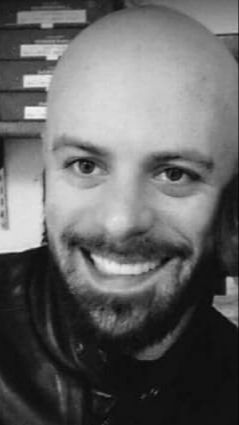 Christopher Lee Kaufman, 33 of Iselin, passed away on Friday, November 16, 2018 in Altoona. He was born Thursday, June 27, 1985 in Olivet, Pa., the son of David L. and Ruth Ann Kelly Kaufman. He enjoyed playing his guitar, camping and riding motorcycles. He especially enjoyed his friends and spending time with his family. He is survived by his parents, David L. Kaufman(Alice Klingensmith) of Iselin and Ruth Ann Kelly Kaufman(Jerry Lentz) of Homer City, a sister, April Renae Hiltabidle and her husband, Dale, of Derry, a nephew, Dylan Hiltabidle and his maternal grandmother, Dorothy Lytle and her husband, Ralph, of Nowrytown . Family will receive friends on Wednesday, November 21, 2018 from 2PM until time of services at 4PM in the Kelly L. Corridoni Funeral Home, LTD, 400 Indiana Ave., Avonmore, Pa. Pastor Robert Shallenberger will officiate. Interment is private.